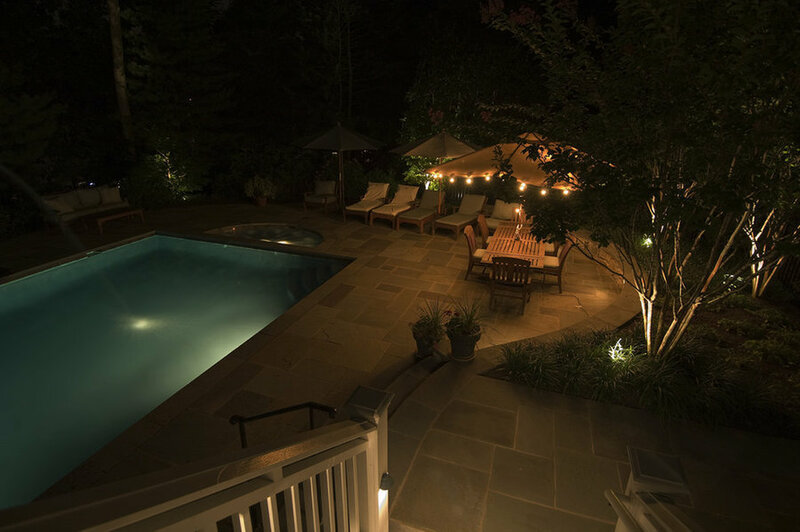 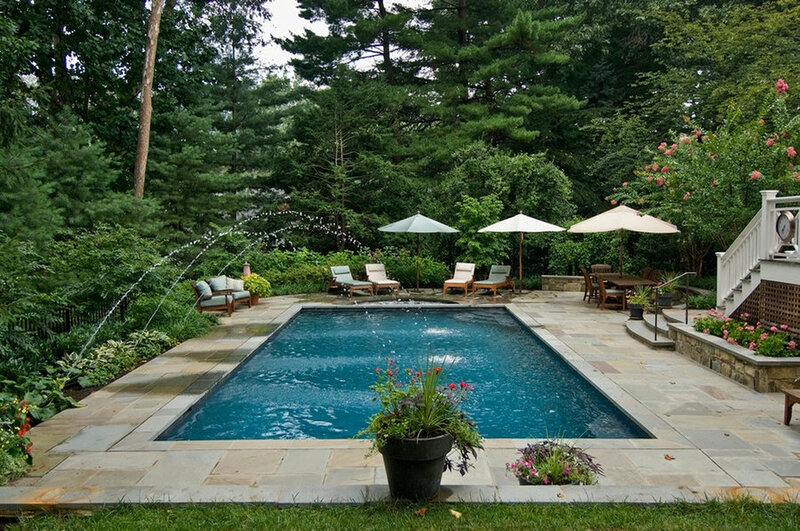 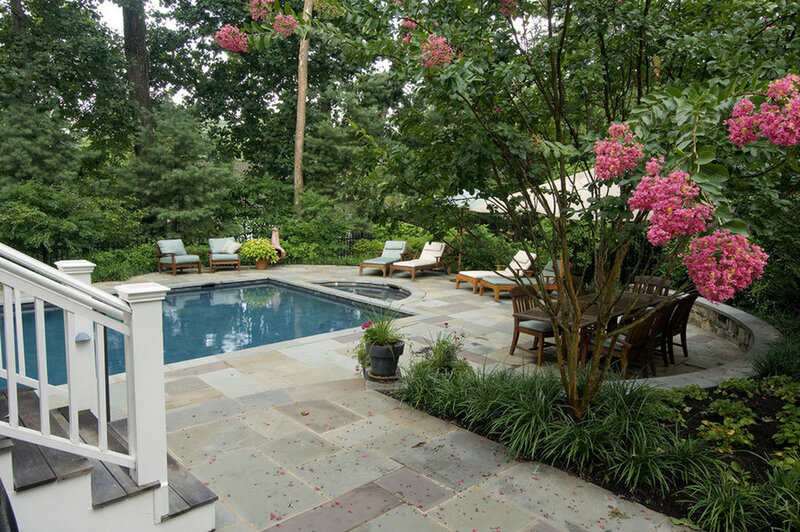 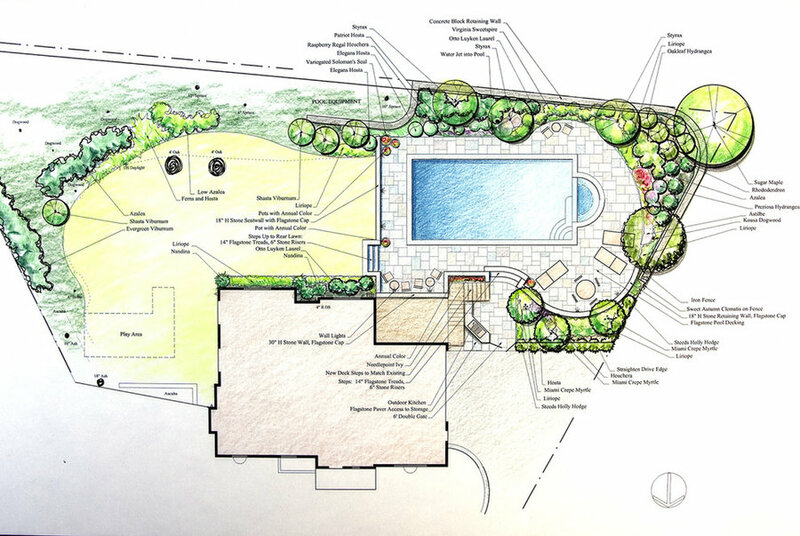 Homeowners wanted a swimming pool and spa for their family of five to enjoy with friends and neighbors. 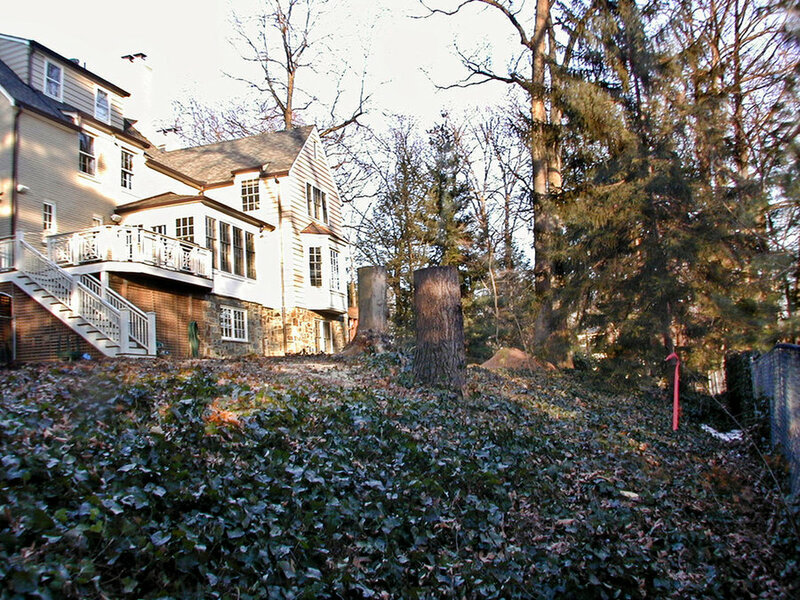 Land sloped steeply from the bottom of a straight line of steps down from the deck. 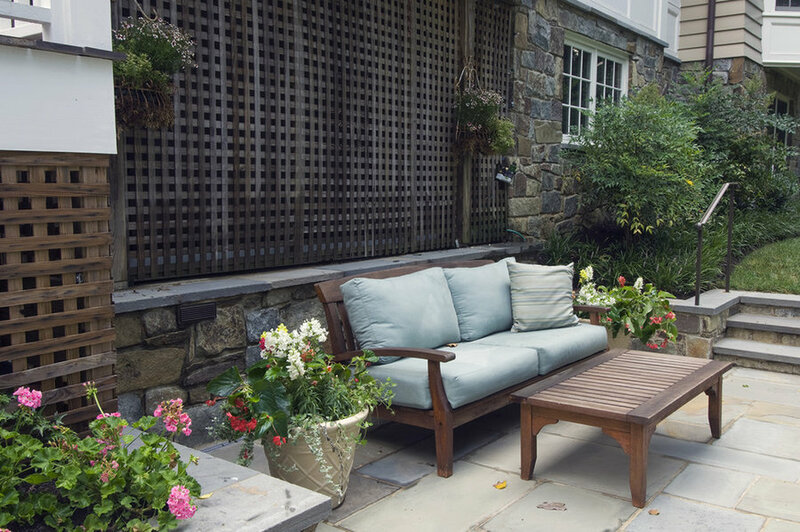 Main design idea: classic Cut and Fill approach. 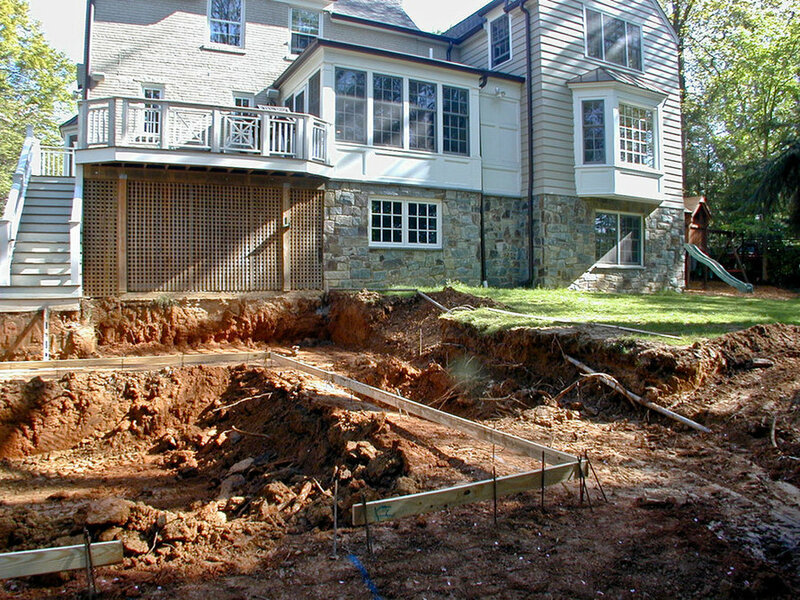 We constructeda 3.5' tall retaining wall at the bottom of the property to raise the elevation and lowered the swimming pool level by 18" (3 steps). 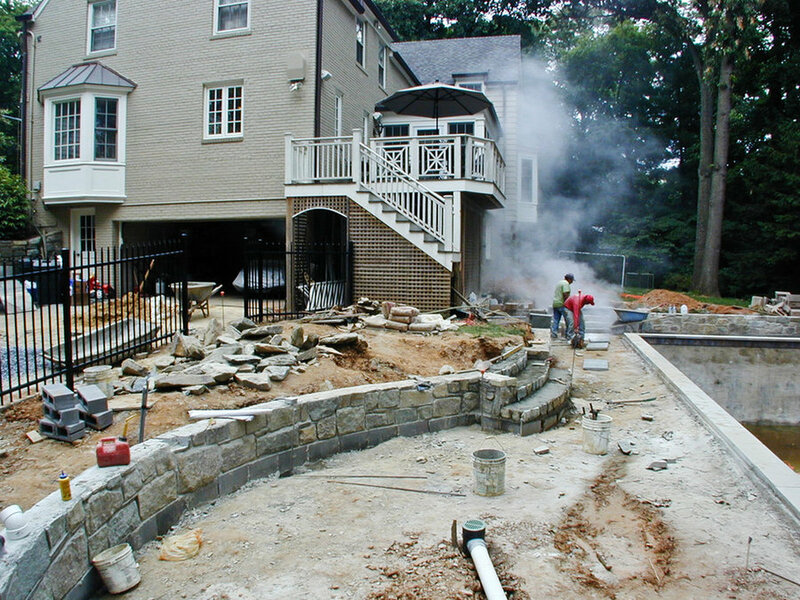 @ Garden Gate Landscaping, Inc.